Introduction of steroids into the epidural space are utilized for the treatment of pain from a variety of causes. Steroids have glucocorticoid properties which downregulate processes associated with inflammation of the nerve root from compression or irritation. They also treat conditions such as chronic regional pain syndrome. The mechanisms of epidural corticosteroids are incompletely understood. Furthermore, ongoing debate has characterized the literature regarding the efficacy, ideal indications, and procedural conduct of epidural steroid injections. This article will briefly review infectious and endocrine complications of epidural steroid injections. Patients with cancer often require chemotherapy and/or radiation treatment. These patients, in addition to those on chronic corticosteroid or disease modifying antirheumatic drug therapy, and patients with inborn or acquired immunodeficiencies are at higher risk of infection. These infections can be opportunistic, such as fungal or bacterial from usually innocuous pathogens. Laboratory values suggestive of an immunosuppressed state include leukopenia and pancytopenia. Steroids can potentiate immunosuppression, even if relatively small amounts are injected into the epidural space. Systemic effects of steroids may increase risk of infection or viral reactivation. The risks of rare but serious infections must be weighed with the expected benefits of pain relief and functional improvement from epidural steroid injections. Case reports have emerged documenting infectious complications following epidural steroid injections. The root cause of a series of fungal infections following epidural steroid injection was traced to contaminated vial batches of methylprednisolone in the 2010’s . Numerous case reports describe epidural abscess formation even in the absence of known immunodeficiency . Other specific case reports have been described for herpes zoster. One report describes herpes esophagitis following a cervical epidural steroid injection . Another describes cutaneous herpes zoster eruption following serial lumbar epidural steroid injections . As such, providers should seriously consider the higher risk of infection in this patient population. In addition to risks of infection, there are risks of cortisol excess when patients are taking other medications. Several cases describing excess serum corticosteroid, characterized by glucose intolerance, diffuse adipose deposition, and immune dysregulation highlight the interaction between corticosteroids and ritonavir, a protease inhibitor used to treat Human Immunodeficiency Virus (HIV) [5, 6]. Cushing’s syndrome is the clinical manifestation of cortisol excess from endogenous or exogenous causes. Downstream complications of Cushing’s syndrome are serious: they range from myocardial infarction and stroke to bone loss, hypertension, diabetes type 2, and depression. Pain physicians should be aware of this drug-drug interaction when pursuing epidural steroid injections. 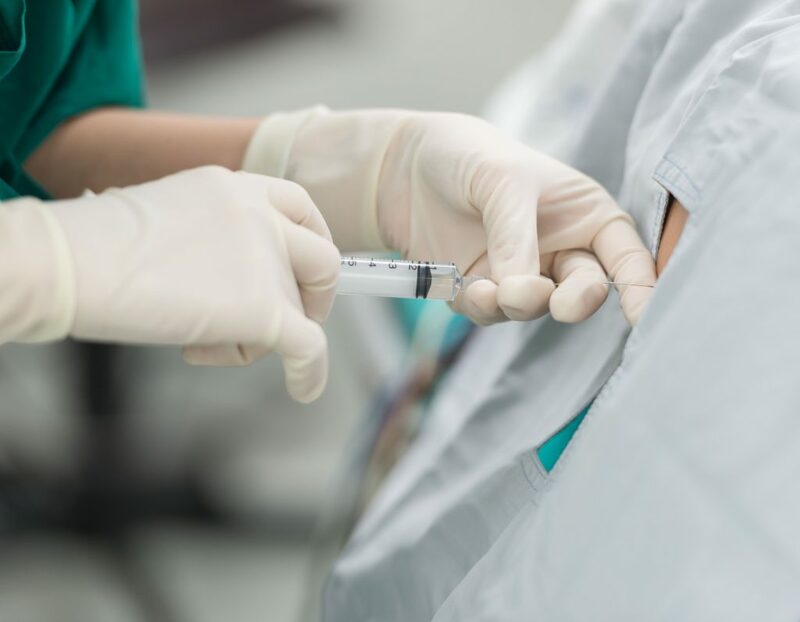 Pain physicians and anesthesia providers should be aware of the risks of epidural steroid injections when counseling patients. While epidural abscess formation is an appropriately cited complication, other effects related to administration of steroids should be discussed, including iatrogenic Cushing’s syndrome and immunosuppression. Davis K, et al. A difficult case to swallow: herpes esophagitis after epidural steroid injection. Am J Ther. 2014; 21(1):e9-14. Parsons SJ, Hawboldt GS. Herpes zoster: a previously unrecognized complication of epidural steroids in the treatment of complex regional pain syndrome. J Pain Symptom Manage. 2003; 25(3):198-9. Maviki M, et al. Injecting epidural and intra-articular triamcinolone in HIV-positive patients on ritonavir: beware of iatrogenic Cushing’s syndrome. Skeletal Radiol. 2013; 42(2):313-5. Albert NE, et al. Ritonavir and epidural triamcinolone as a cause of iatrogenic Cushing’s syndrome. Am J Med Sci. 2012; 344(1):72-4.